Here at Turner Plumbing services, our qualified heating specialists provide underfloor heating installation and repair services. Your underfloor heating services are in the safe hands of our qualified heating engineers, who know their way around any boiler and heating system. In Need of New Underfloor Heating in Kent? An advantage of using underfloor heating, is that it works well running at a lower temperature unlike radiators, due to the warm air being pushed upwards, which will save you money in the long run. Meanwhile, underfloor heating works especially well under tiles and stone flooring. Another benefit to this alternative heating style, is that you save space by no longer having radiators attached to the walls, which also gives your home a neater appearance. 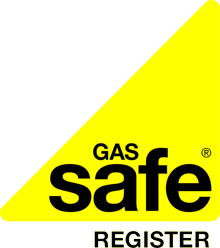 This is also a much safer option for parents with young children, as there is no longer the risk of children - or yourself - gaining injuries from radiators. When it is time to call in one of our specialists, many homeowners worry that their floors will need to be torn up to fix the problem. Well you can rest assured that this is not the case. Our underfloor heating repairmen use various types of equipment, including thermal imaging equipment which helps to pinpoint the exact spot where the problem is occurring. Once the problem has been identified, the specialists will only need to work in that particular area to make the repairs. He may need to replace the floor sensor or repair a break in the underfloor heating mat cable. No matter the repair, customers can rest assured that the experts at The Underfloor Heating Company guarantee a quick, high quality and professional service and that any repairs to the flooring in the home or business will be minimal. If you would like to find out more information about underfloor heating, then why not book an appointment with one of our specialists to find out if this is the right option for you.